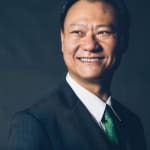 A skilled and effective communicator with over 25 years of experience in sales and marketing, Isaac Fung is an Elite Agent and Central Coast specialist. Isaac is also an acreage specialist of service to acreage estates throughout Sydney. Isaac recognises the importance of client relationship and is extremely motivated to produce excellent results for clients. Isaac Fung doesn’t currently have any sold properties on Homely.